The Islamic Human Rights Commission has written to Secretary of State William Hague demanding that the Foreign Office take up the case of Jafferl Hasabi, a 39-year-old British national arrested in Bahrain last month and held incommunicado for over two weeks before being charged with attempting to overthrow the government. Mr. Hasabi’s family have attempted to persuade the British Embassy in Bahrain to raise the case with the Bahraini government without success. Jafferl Hasabi has lived in London for 15 years. On 24 July he travelled to Bahrain for a vacation with his family. From Bahrain, he took his mother and two daughters to Mashhad, a city in Iran, for a religious pilgrimage. He was arrested on 16 August when the family flew back into Bahrain International airport from Iran. For over two weeks after his arrest, his family were unable to establish why he was arrested or where he was being held. The first word Mr. Hasabi’s family had of him was on 1 September, when he was presented to the public prosecutor and charged. His lawyer was able to speak with him and told the family that he had been subjected to numerous forms of abuse and torture, including being blindfolded and handcuffed for the entire period of his captivity, being hung by his hands for extended periods, being deprived of sleep for days on end, and being beaten by plastic rods. The public prosecutor ordered that he be detained for questioning for a further 60 days, raising fears that he may be subjected to further torture. Mr. Hasabi is being held by the National Security agency which is notorious for the mistreatment of prisoners and not being accountable for its actions. The offence he is charged with is punishable by death under legislation which is notorious for the breadth of its definitions of sedition and terrorism, by which many normal civil society activities can be regarded as criminal. Bahrain is currently in the midst of a major crackdown on civil society and political activism pending elections due to take place next month. The failure of the British Embassy to provide even basic consular services to Mr. Hasabi and his family is deeply worrying. 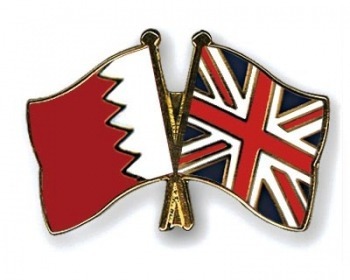 The IHRC has, therefore, asked the Foreign Office to look into this case as a matter of urgency, and to seriously investigate both the allegations of torture by the Bahraini authorities and the failure of the British Embassy to respond to his plight.